Article by Koen Slootmaeckers, originally published at LSE's EUROPP Blog. The original article can be found here. As the BBC put it, “Just a few years ago, the appointment would have been unthinkable. But EU hopeful Serbia can present it as proof of increasing tolerance.” And although the BBC remained cautious in its interpretation of the political meaning of the appointment, its local correspondent, Guy De Launey, argued that the symbolism of Brnabić’s appointment carries real weight. Whilst the EU has not yet formally commented on the developments, one can anticipate Serbia will be commended for their progress on LGBT rights. Indeed, already on Friday, the European Parliament Intergroup on LGBTI Rights, shared the news on its Facebook page as “Wonderful news from Serbia”. However, should we really consider the appointment as proof of the progress made in Serbia? When the appointment is placed in its full context, the answer is arguably no.The news that Serbia is set to have its first openly gay and female Prime Minister has generated a response from the global LGBT community and Western media that can best be described as ecstatic. 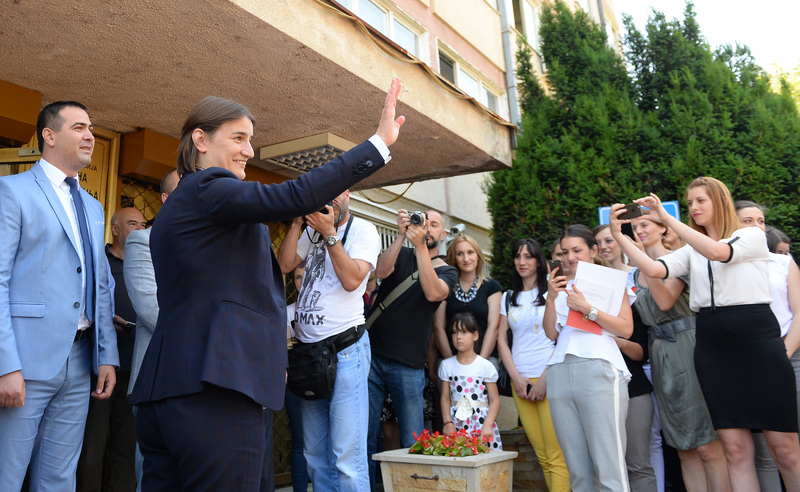 As the news developed on the evening of 15 June, my Twitter and Facebook feeds were overwhelmed with people congratulating Serbia for this ‘historic’ appointment: a double first for the county. Many media outlets noted that given less than a decade ago the 2010 Pride parade in Serbia was marred by riots, the appointment of Ana Brnabić demonstrates remarkable progress for the country. The tactical use of LGBT rights becomes even more visible when one considers the Pride Parade events. When Pride reappeared in Belgrade in 2014, this was done with an eye on the political capital the government would gain by successfully protecting such events (as shown here and here). The return of Belgrade Pride is best understood as what can be labelled ‘tactical Europeanisation’, i.e. an act of compliance to communicate to the EU a readiness to Europeanise by aligning oneself with certain ‘European norms’. International observers have treated Pride as a litmus test for Europeanness and the protection of the 2014 and subsequent Belgrade Prides were aimed largely at advancing the EU accession process.For example, consider the anti-discrimination legislation which was adopted in 200as part of the EU visa liberalisation process. Despite being in place for almost a decade, the implementation of the law remains minimal. Here, the lack of political engagement and will to stop the discrimination of LGBT people is a significant barrier to the implementation. My research has shown that the institutions which are responsible for protecting citizens from discrimination (the ombudsman and the commissioner for the protection of equality) often face indirect political pressure to speak out on the topic, but not to pursue politically sensitive cases. The country’s anti-discrimination strategy (2013) and action plan (2014) remain under-implemented and little is being done to improve court practices regarding anti-discrimination cases or to improve treatment of LGBT victims by police officers. Tackling the roots of hate crimes and discrimination remains a topic that is low on the political agenda. Copyright Centar savremene politike © 2015	Blog at WordPress.com.